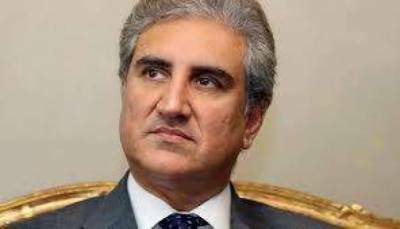 ISLAMABAD: Foreign Minister Shah Mahmood Qureshi Wednesday said Pakistan considers CPEC an engine for growth; a catalyst for economic development, and a platform for socio-economic uplift of the people of Pakistan. Chairing a preparatory meeting for the upcoming Prime Minister’s visit to China via video conference with the Ambassador of Pakistan in Beijing and senior officials of the Embassy, the Prime Minister said CPEC enjoys across the board political and institutional support in Pakistan. He said the bilateral relationship has been further strengthened particularly in economic field by the launching of CPEC. The Foreign Minister said the CPEC has added another important socio-economic development dimension to the bilateral relationship. The leadership of both countries has expressed strong desire and commitment to the successful implementation of CPEC, a statement from the Foreign Office said. Qureshi said the new Government in Pakistan has pledged its complete support and commitment to the advancement of CPEC. Emphasizing the importance of the visit, the Foreign Minister highlighted that Pakistan and China were “all-weather strategic cooperative partners”. He said the two countries were close friends, good neighbors and development partners. He said the bilateral relationship has withstood the test of times and regardless of domestic or international changes, this close friendship has served as a model of state to state relations for other countries. The Foreign said high level contacts were an important facet of the bilateral relationship. Prime Minister Imran Khan will visit China on his first official bilateral visit from November 2-5. During his visit, the Prime Minister will meet the Chinese leadership in Beijing and also visit Shanghai to participate in the First China International Import Expo as a guest of honor. The visit will further strengthen the close and warm ties between the two brotherly countries. During the recent visit of Chinese State Councilor and Foreign Minister Wang Yi, the two sides expressed their full support to CPEC and agreed to focus more on socio-economic development aspects of CPEC in the next phase. The two sides would further discuss ways and means of achieving this goal during the forthcoming visit of the Prime Minister to China. The two sides would continue engagements at all levels to not only enhance their strategic partnership but also continue to promote regional peace and stability. The visit of Prime Minister Imran Khan to China will be instrumental in elevating the all-weather friendship between Pakistan and China to new heights. Foreign Secretary, Additional Secretary (Asia Pacific), Additional Secretary (FMO) and Director General (China) were also in attendance. The meeting discussed the significance of the visit as well as the programme, meetings, agreements to be signed and its overall objectives.